Wagjag has an OPI deal on now! Save 60% off an OPI Nail Polish bundle for a limited time! 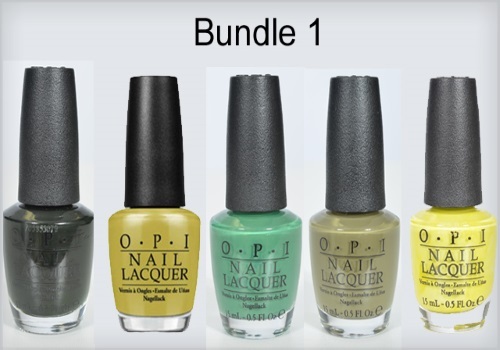 Get a bundle of 5 OPI nail polishes for onnly $27 ($67 value). Choose from two bundle options at the link below. Product will arrive within 2-4 weeks of deal closing date, which is May 11. Limit 6 buys per person, may buy more as gifts. Does not include shipping ($5.95 extra charged at checkout). There is also a similar deal for Essie polishes that I blogged a few days ago too, click here.